Looking for a garage door with impact resistant options? We’ve got four beautiful options to choose from! Haas Door now offers impact resistant glazing options in their Residential Aluminum 360 Series (RA360). The sophisticated straight line look of the RA360 Series can now be enhanced with Clear, Bronze, Dark Gray and Pebble impact resistant glazing. “The impact resistant glazing on these garage doors also meets design pressure requirements for specific high wind areas around the country and can enhance safety,” says Jeffrey Nofziger, president of Haas Door. “These architecturally pleasing low-maintenance aluminum garage doors include more than 30 glass options including non-impact resistant insulated, non-insulated specialty glass offerings, and impact resistant glazing. 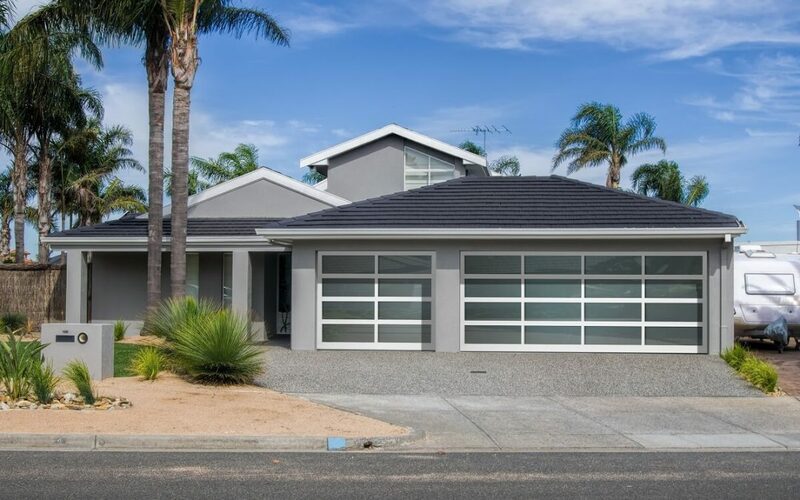 In the RA360 Series, you also have the chance to enhance the clean, refined straight line look of the garage doors by custom selecting the frame of your choosing. We work with Haas Door to offer you 14 woodgrain color options, 10 painted finish options, and four anodized finish options, including the on-trend option of Brush Aluminum. In addition, just let us know your specific needs and we will help you order the doors with custom-matched paint or powder coating finishes to perfectly complement your home exterior. The rust- and corrosion-free RA360 Series aluminum garage doors, which are all manufactured in the U.S.A., come in a modern contemporary style. The high-end commercial grade aluminum doors include tongue-and-groove section joints for durability. Ask us today about ordering these impressive garage doors for your home or commercial project.